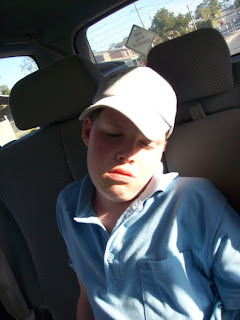 The weary traveller fell asleep in the car…so had Kev before we dropped him at his house. 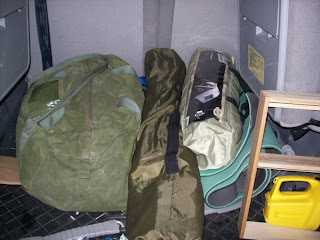 The boot full of Miltons gear…and it was worse before we dropped Kev home. 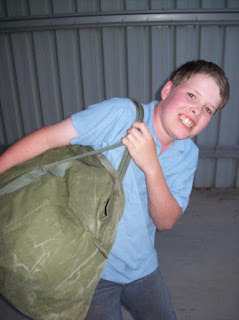 Milton lugging (with strain) the eshy bag that used to be mine and he now uses for Scouts. 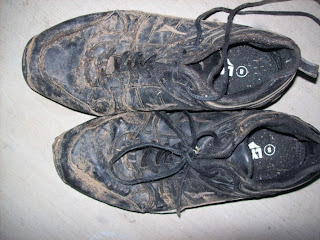 The dead school shoes that didn’t survive canoeing. 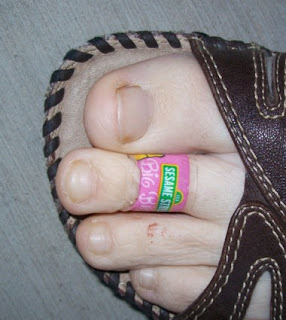 This is the only bandaids you can find when you have a house full of kids! 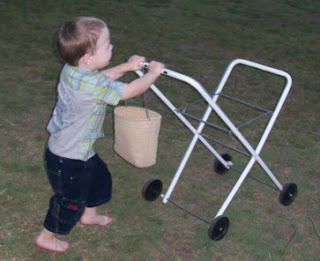 Noah doing a spot of laundry trolley racing. The miracle is how it stays together after trolley rides for 10 years, trolley races for 8 years, numberous crash and bash accidents and the sheer amount of washing we do each week. 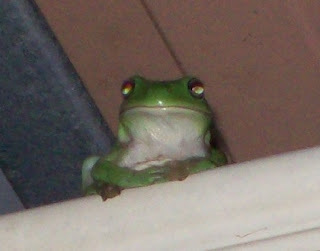 We had a visitor in the gutter again…and yes he was discovered on Noahs nightly frog hunting expedition.